Injuries – People who play soccer, dance, or participate in another athletic activity can be at higher risk for injuries to the foot that temporarily thicken the nail. Once the damage heals, the nail usually returns to normal. 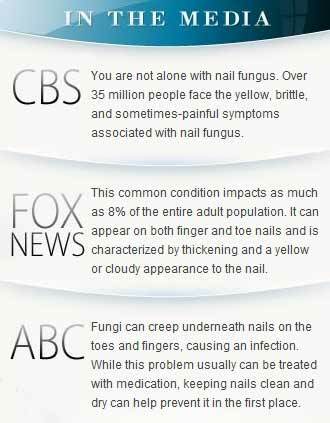 Fungus – Most commonly, toenail fungus is the culprit for yellowing, thickened nails that crumble along the edges. If left unchecked, the nail will sometimes begin to separate from the nail-bed. According to Fox News, nail fungus is one of the “Top 10 Skin Issues,” affecting up to 8% of the population, and can take up to a year to clear up. Eczema / Psoriasis – Skin conditions can affect the toenails by causing dead skin cells near the nails to become inflamed or irritated. Severe irritation can trigger the nail to thicken as a defense mechanism. Poor Circulation – People with diabetes or C.O.P.D. have trouble getting blood to the toenails, which deteriorates the quality of the nails — making them more susceptible to injury or infection. Natural remedies you can use for at-home care are extremely important in managing this condition. Clean the nails with anti-bacterial soap. Dry the nails thoroughly (as moisture encourages bacterial/fungal growth). Sterilize your nail clippers and file in alcohol to sterilize. Clip your nails straight across. File the edges with a nail file. Put on absorbent synthetic socks to keep your feet sweat-free. Sanitize your shoes with a SteriShoe® ultraviolet shoe sanitizer daily. The Mayo Clinic says that there is anecdotal evidence suggesting soaking the foot in vinegar or applying Vicks VapoRub can help with home treatment. However, to date, there have been no studies to verify these folksy theories. “You can get rid of nail fungus — but not with Vicks VapoRub, bleach, Listerine, tea tree oil, or vinegar,” says podiatrist Zachary L. Chattler, D.P.M. at Johns Hopkins. He says that all of these so-called “cures” are myths — and furthermore, over-the-counter products are a waste of money. Your #1 recourse should be to seek medical treatment from your doctor. From there, you may be prescribed oral medication like Lamisil or Sporanax. In Podiatry Today , Warren Joseph DPM says that “debridement” (tissue removal) is not acceptable treatment for foot fungus — and that the number of people receiving oral antifungals should increase. In severe toenail fungus cases, surgery or laser treatment is the only real “cure,” according to a John Hopkins health alert. Even after you receive such treatment, you will need to keep up on your at-home foot care regimen to lower the risk of requiring thick toenails treatment again. 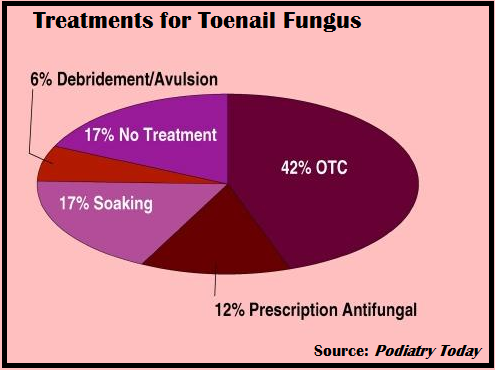 Learn more about how SteriShoe® can help in the battle against toenail fungus and thick nails.